Medium: Printed card Comments: Photograph/design by Rita Marsmann. 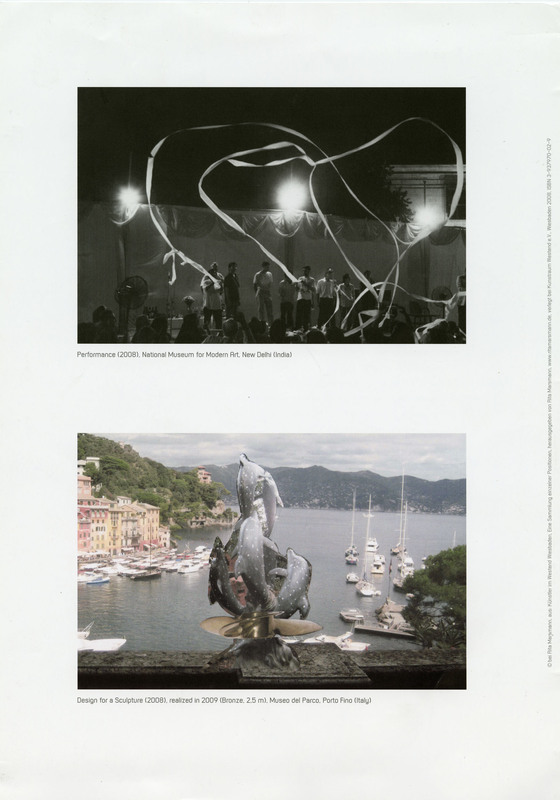 Photographs of the artist; of a performance at the National Museum for Modern Art, New Delhi (2008); and of “Design for a Sculpture,” Museo del Parco, Porto Fino, Italy (2009). Dimensions: 29 cm x 20.3 cm Date: 2009. A Ben Patterson Perspectives show opened in Houston, TX recently. Very rich and enlightening show.